Optional Center Rafter. In anodized aluminum with 30mm diameter. Helps support the center of the awning during wind or rain and adds strength. Comes standard on Caravanstore 410 and 440 bag awnings, Caravanstore Zip 440, and with F35 Pro 350, 400 and 430 cm. 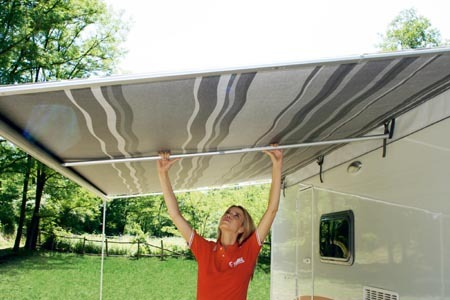 Optional for Caravanstore from 255 to 360 cm and F35 Pro from 250 to 300 cm. Imported.